NOT YET A MEMBER OF ISHA? News from ISHA 2018 Melbourne. E-poster Submission: EP8.3 What is the prognosis of conservative versus non-conservative treatment in Ischiofemoral impingement? Our Society has been the creation of many individuals, each united by a common interest in the expanding arena of hip arthroscopic surgery. Officially formed in Paris (France) in May 2008, ISHA’s Founding Members represent but a few of the many individuals around the world who are interested in this evolving area of hip surgery. ISHA 2019 ASM abstract submission deadline extended until 30 April 2019. Still time to make your submissions. A memorial to Dr. Jeffrey Mast. For further information visit the ISHA 2019 Conference website by clicking on the image right. To download the 1st Announcement link below. Click on image below to view the video. Click on image below to read full publication. 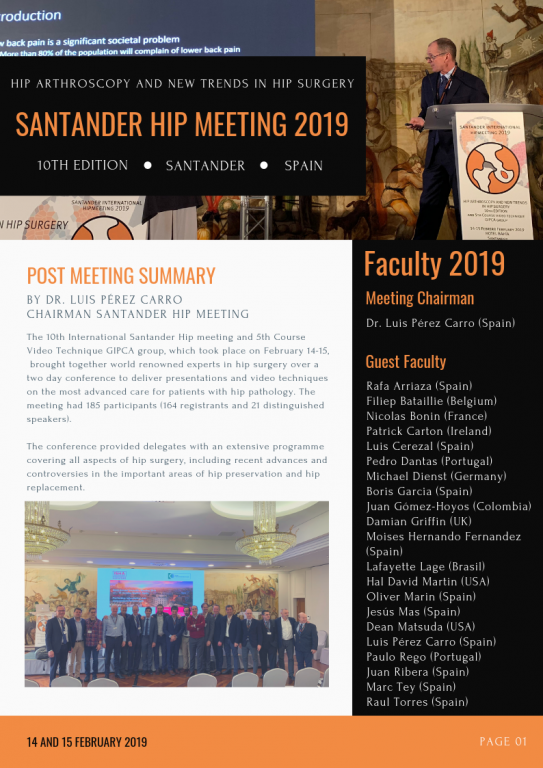 The 10th International Santander Hip meeting and 5th Course Video Technique GIPCA group, which took place on February 14-15, brought together world renowned experts in hip surgery over a two day conference to deliver presentations and video techniques on the most advanced care for patients with hip pathology. Read more in the post meeting summary. 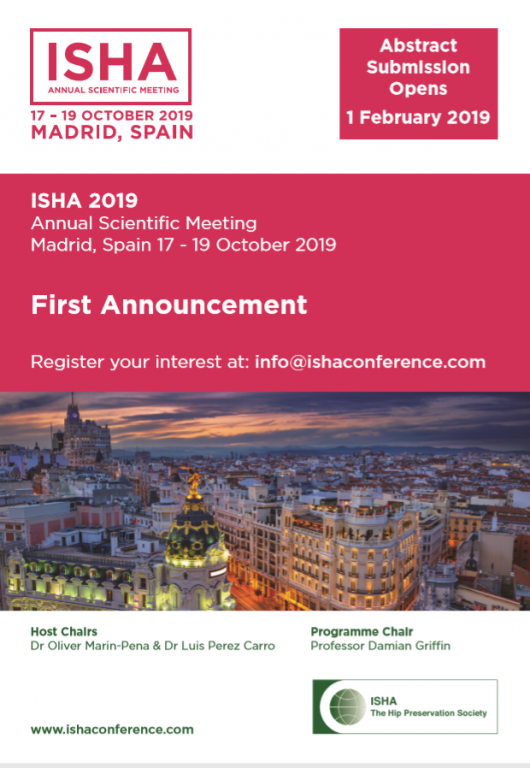 A great prelude to returning to Spain for the ISHA 2019 Annual Scientific Meeting which will be held in Madrid from 17 – 19 October.